If you want a gorgeous smile, visit Orange County’s favorite Costa Mesa practice for our professional teeth whitening services. At Vanek Dentistry, we offer patients many types of dental whitening. One popular method is in-office while our most cost effective method is completed at home with custom prescription level whitening. An in-office treatment can be done on the same day as a teeth cleaning or during a separate appointment. It is typically completed within an hour and produces immediately white teeth. For many people, this is an ideal solution because of how quickly it is finished. At home treatments allow patients to slowly whiten over time. The process involves having an impression of the teeth taken which is used to create a customized whitening tray in the dental lab. Custom whitening trays fit securely around your teeth and help prevent excess leaky solution into the mouth. This is an ideal way for patients to whiten teeth when they travel or if they move because once they are created, they can be used at any time. Patients are provided with a whitening solution to use at home, and the trays need to be worn for 30-60 minutes every night for a week or more. During our cosmetic dental treatments, we recommend that patients have their teeth whitened before having other dental procedures completed. This way we match your dental work to your new beautiful white smile. Our dental materials that are used for cosmetic purposes are stain resistant. For example, a dental crown won’t stain or change color- ever. When a crown, veneer, bridge, or implant is created in a dental lab, they are created to match the shade of the surrounding teeth. If the surrounding teeth are dark, these restorations will be created to match that shade or they will be noticeable in your smile. If the surrounding teeth are a brilliant white, the restoration can be made that way as well. This makes the timing of teeth whitening procedures important. Only a dentist can customize your whitening experience for your specific situation. The procedure itself does not cause any discomfort and is relatively easy to complete. Before getting started, we simply recommend that patients schedule a dental exam with our hygienist Jodi here in Costa Mesa. 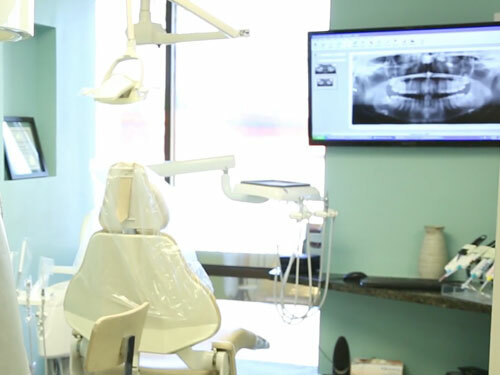 Dr. Vanek will then complete the comprehensive exam specific to your teeth and gums [Click here for our $49 New Patient Special] to ensure that they are healthy & how the experience will get the best results for your money! This way if any cavities or infections exist, they can be treated to prevent tooth pain. To learn more or to get started, call Claire & Michelle (714) 545-7157 and schedule your appointment. When a whitening solution is applied to the teeth, the carbamide peroxide inside of the solution penetrates through the enamel. It then starts the oxidation process where molecules are transformed to reflect less or no light. This makes them appear colorless, and teeth appear white. This process is typically extremely effective for eliminating stains and can be repeated frequently. FAQ ANSWER: Whitening does not damage the teeth, and it has been proven to kill bacteria that causes gum disease. Many people may try over the counter solutions like whitening trays or strips. These treatments work but not as well as professional solutions. They take longer because the over-the-counter whitening is weaker. As a result over the counter is MUCH more expensive! What you buy in the store is simply not as strong as what you can get from a dental professional. Over-the-Counter methods can only use a solution with 5-10% active ingredient (usually carbamide peroxide). A prescribing dentist can utilize a formula with up to 35% active solution which will significantly whiten the teeth much faster. As the concentrations of active ingredient increase so can tooth sensitivity. Typically, anything over 22% is going to be reserved for an In-Office Dental Treatment. At Vanek Dentistry we like to describe these three categories as ways to whiten your teeth in 2 months, 2 weeks or 2 hours. It’s your choice! Q:Can I get my teeth whitened? A: Everbody is a candidate for tooth whitening, but again, each situation is unique and it’s best to contact your dental professional. We have never met a patient in over 15 years with thousands of people treated that we couldn’t help. At Vanek Dentistry, we recommend whitening procedures for adults and some older teens. This is not an appropriate procedure for really young children and, fortunately, they very rarely need it. Before determining if someone is a good candidate for teeth whitening, we conduct a thorough examination. This is to determine if there are any signs of cavities, infection or gum disease. These oral health problems sometimes require treatment prior to conducting complex cosmetic dentistry procedures. This is to ensure that we are not putting whitening solution on a tooth that is decaying or exposed. Naturally, this could cause you discomfort. Fortunately, if we do find any oral health problems, we can correct them quickly and schedule you for a tooth whitening treatment right away. 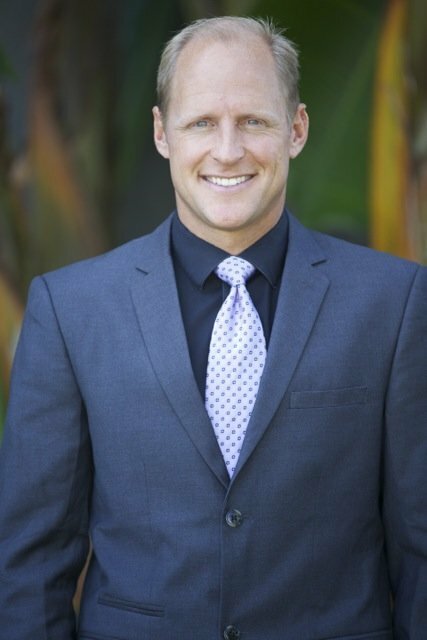 A: When you visit our Costa Mesa dental office for teeth whitening, we will prepare your teeth and protect your lips, gum tissue and cheeks. We will then apply the whitening solution and give it time to be activated. Typically, it takes a little more than hour from the time you sit in the dental chair to when you are able to leave. The solution will begin to take effect during this time and your teeth will show an immediate improvement. We like to give you the biggest bang for your buck, so if your teeth are not sensitive we will spend extra time getting them their whitest & run 3 cycles for 20 min each. That is an extraordinary value compared with other offices. A: Typically you can expect whitening to last from six months to two years, although some studies report results lasting up to 10 years. Drinking plenty of water and doing so every time that you eat or have another beverage will help to keep your teeth white. You should also brush your teeth after every meal or after having something that is particularly staining. Avoiding red wine, coffee, and smoking (all of which can cause staining) also helps preserve the results…but like you we love these things & that is why we developed such an effective means for keeping our smiles their whitest and brightest! A: Yes, many studies have proven that tooth whitening is safe. You can protect your tooth enamel by using calcium sulfate and fluoride. Products developed from carbamide peroxide, hydrogen peroxide, and urea (substances found in every human cell), should be used cautiously to alleviate concern. Those who have issues are the ones who don’t follow instructions and overuse the products for months or years. Studies prove that not only is whitening safe, but it promotes healthy gums by killing bacteria! A: Sensitivity from tooth whitening is only temporary. If there is any sensitivity caused by the whitening, it goes away within one to two days after the treatment, and the patient returns to the state of sensitivity he or she had prior to starting the whitening process. Most sensitivity caused during whitening is actually because the patient uses too much & the gums get irritated. It is important to use microscopic amounts of whitening to make it less sensitive of a process. During an exam we likely point out the areas that could cause sensitivity to the patient so they are aware of how to avoid it. We firmly believe prevention through patient education is the best way. A: Prices vary widely for tooth whitening. Typical over-the-counter kits can cost as little as $20 with limited results, while some offices offer extensive in-office procedures using unnecessary methods approaching up to $1,000. If you want professional whitening, expect the price to be around $300 to $800. If you want an at-home bleaching kit from your dentist, expect to pay between $200 and $600. In our office during our specials we charge only $99 for the take home trays & $400 for the in-office system. Learn more about dental insurance and financing. Q: Does whitening toothpaste really work? A: As a dentist, we don’t specifically recommend that you use a whitening toothpaste in between treatments. These pastes can help to keep surface stains at bay in theory, but they are abrasive and can damage the root & gum surfaces. Believe it or not, only one ingredient is important to routine at home maintenance is a topical fluoride toothpaste to prevent tooth decay. In reality, you can brush with water & rinse with topical fluoride. Rinsing with Hydrogen Peroxide can maintain your tooth whitening over time, but it does not however, do a good job of whitening teeth the first go round. Whitening tooth pastes only work on the surface, and can be effective if your teeth are not properly clean at the start. In the long term a registered dental hygienist taking care of the build up around the roots of your teeth combined with peroxide whitening agents maintain a youthful smile the best. Q: Do natural treatments provide similar results? A: First of all, many people make the mistake of thinking that if something is natural, it must be good for them. This is simply not the case. “Natural” teeth whitening agents can actually damage your teeth through the process of acid erosion. Most natural remedies use citric acid to remove the stains or yellowing. For example, using lemons or limes. The problem is that anything high in acid content can permanently damage the enamel on your teeth so while they may look whiter, they may also become more sensitive. Secondly, we’ve recently seen online sensational results using charcoal, a VERY harsh abrasive. Again, this can have results, but at a cost… if your teeth are extremely yellow like in the videos you see it’s likely due to smoking & that’s how the videos create such an extreme result. That smoking stain is simple to polish off and can be done in many ways just as simply as using charcoal without the negative results of the extreme abrasion. In the long run that abrasive of a material will cause permanent tooth damage & that is why dentists are strongly against it. We’ve developed the technology to achieve the desired results with safe and effective means. Dr. Vanek has an exclusive material that gets results without that extreme risk. A: Tooth whitening has little or no effect on restorative materials such as fillings, porcelain or crowns, but in real time it temporarily reduces the bond strength between enamel and composite restorations. Therefore, it is a good idea to check with your dental professional before beginning any course of tooth whitening. It is important to communicate well so that everyone knows the pros and cons of any treatment, but typically its easy to get good results when things are planned well. You can check out what others are saying about teeth whitening, and all the other services we provide on our Testimonials page. Do not try teeth bleaching at home without reading this warning. It is possible for you to permanently damage your teeth when whitening them at home. Your teeth have a hard layer of enamel on the surface. They arrive this way, and once your enamel is gone, you cannot replace it. Underneath your enamel is porous dentin that contains your nerve endings. If the enamel wears away, the dentin will be exposed, and your teeth will become sensitive. Eating and drinking with sensitive teeth can be incredibly uncomfortable and the only way to permanently fix your teeth is to have a cosmetic procedure like bonding or having dental veneers or crowns placed on your teeth. The biggest problem that people can have, when whitening their teeth, is excess of the materials used to whiten. If you place a teeth bleaching solution that is not recommended by a dentist onto your teeth for too long or you whiten your teeth too many times in a short period, you can cause your enamel to erode – permanently damaging your teeth. As discussed this is caused typically without realizing that “natural” means are not always safe. This is why scheduling a professional teeth whitening is so important. As Vanek Dentistry, we will make sure that your teeth are whitened correctly by using the right type of solution for you and removing it before reaching the point of irritation. If you are looking to save money, trust us that our at-home whitening at professional strength is not only faster and more effective, but less expensive as well. Taking short cuts , however, may expose your teeth to risks that will damaging your teeth and gums & could create much higher expenses down the road.